The Notifications add-on will keep you up to date with your support operations – anytime, anywhere. You decide on which action(s) you want to be notified and where you want to be notified (email, slack, sms/push-bullet). Every time something happens on your support, you are instantly notified. 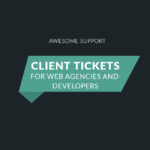 While the free core Awesome Support plugin includes email notifications, this add-on expands those notifications to new channels and 3rd parties that might not be associated with a ticket. The add-on currently integrates with Slack, Pushbullet and, of course, email. 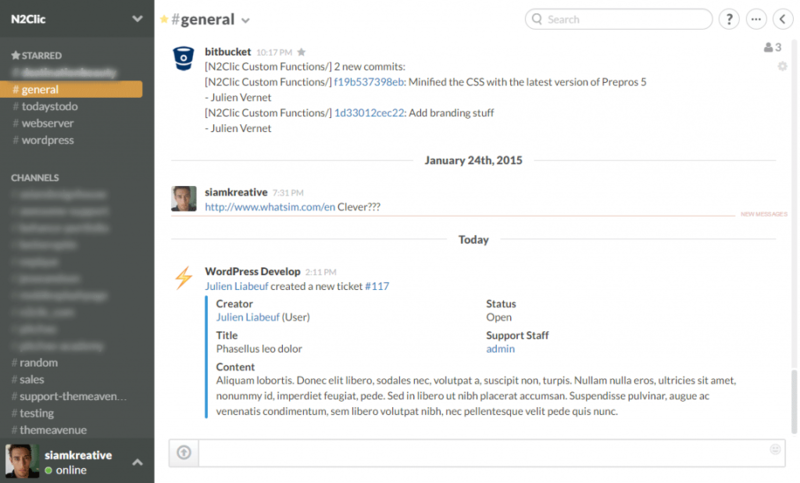 When using the Slack notifications, every action will be pushed to the channel of your choice. The notifications are “high level”, which means that you’ll see everything that happens in your support desk. For example, there will be a notification for new tickets even though it hasn’t been assigned to you. 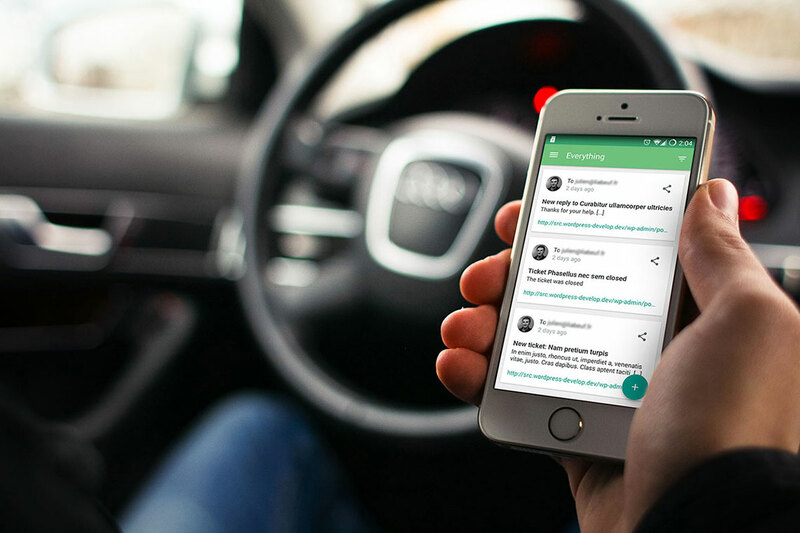 Get instant notifications from your support system on multiple devices. With the Pushbullet notifications, we work at a “user level”, meaning that you will only be notified of actions that concern you directly: new ticket assigned to you, new reply to one of the tickets you’re in charge of. Unlike Slack notifications which are high level, your Pushbullet notifications are personal. Sometimes you might need to send notifications to individuals and other entities not directly associated with a ticket. For example, a small business owner might want to be notified of every new ticket even thought he/she isn’t the agent handling the ticket. Other scenarios include automatic emails to compliance managers or to send all ticket events for regulatory archiving as they occur. Used in this manner, 3rd party notifications can be quite powerful! And, we still allow you the option to send emails to existing users already attached to the ticket. So, with this add-on you can send notifications to users with the notification functions included in the free core plugin AND you can send a 2nd notification with additional information if needed using this add-on – you get a level of flexibility that is simply unprecedented in the world of WordPress help-desk plugins! 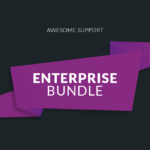 This add-on makes it easy to setup Slack, Pushbullet and email notifications and is suitable for most business use-cases. However, there are times you might need even more advanced notifications. If so then consider our Business Rules Engine. 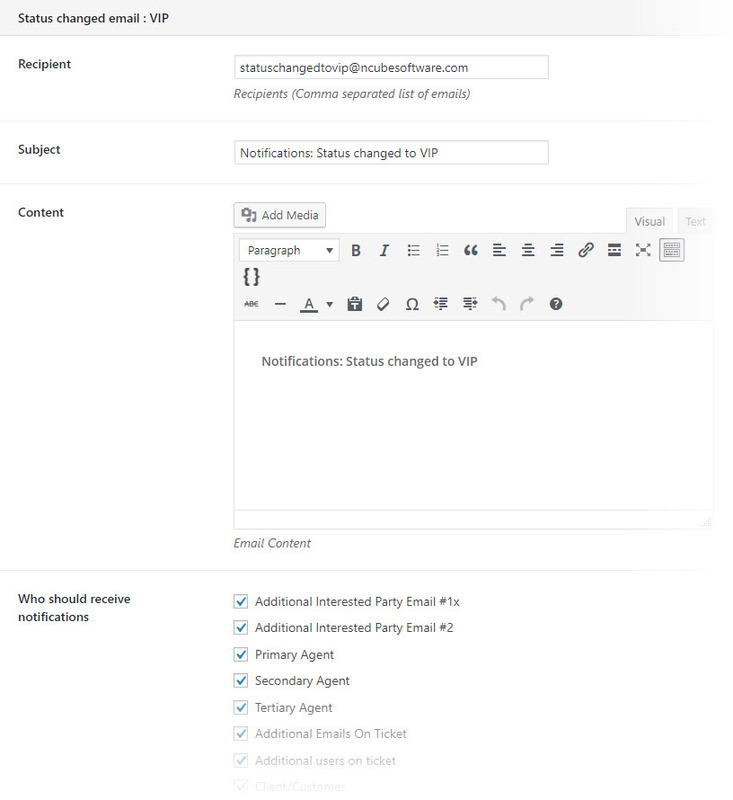 With the Rules Engine you can send out multiple emails for the same ticket event, filtering each email with Boolean logic. For example, you can send additional emails to the PUSHOVER service which can then show up as browser notifications. The Rules Engine also sends notifications to any notification service that Zapier supports which opens up additional notification avenues such as SMS and other proprietary notification protocols. IMPORTANT: New version of Awesome Support core is required to upgrade to this version! You need Awesome Support 5.7.1 or later! 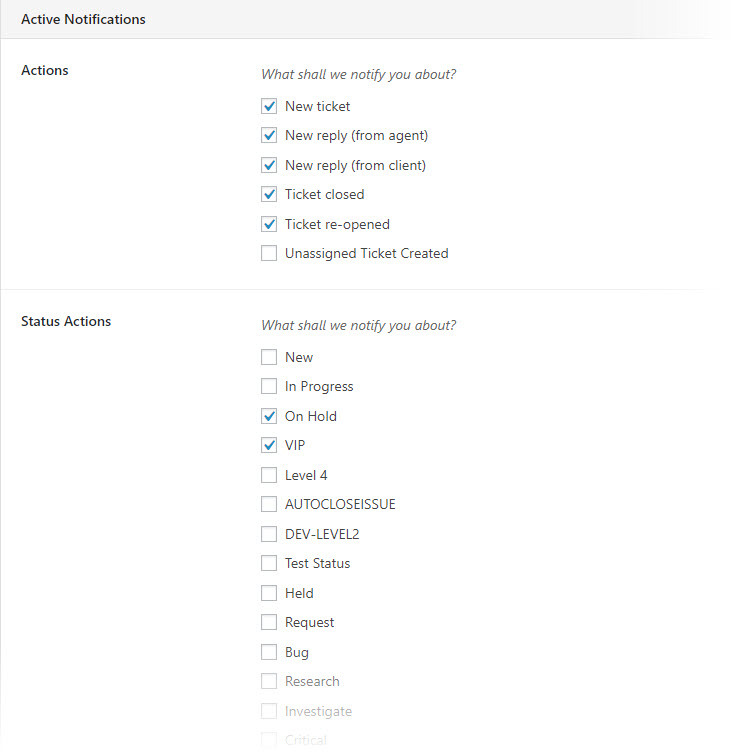 New: Added options to send email alerts to all agents on a ticket regardless of if they've been assigned to a ticket or not. If the agent participated in any way on a ticket, they can now get email alerts. New: Added options to send email alerts to all users on a ticket regardless of if they've been assigned to a ticket or not. If the user participated in any way on a ticket, they can now get email alerts. Fix: Issue with notifications when tickets are closed - they weren't being sent. Tweak: Added major version number since this add-on has been out for a while. Instead of 0.4.0 its now 1.4.0. Tweak: Rearchitect some areas to ensure that custom fields data is saved prior to sending notifications. 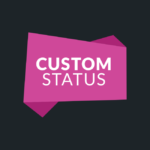 This allows notifications to access and use custom fields data. Tweak: Rearchitect some areas to ensure that file attachments are saved prior to sending notifications. 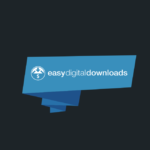 This allows notifications to access and use file attachments. New: Min version of AS is now 4.0.0. New: Added option to allow certain notifications related to the EMAIL SUPPORT add-on to be run via AJAX for testing purposes. Add: New event to send notifications for status changes. Need to escalate a ticket with notification to a department or personal email address? This scenario is just one of many that can now be easily handled! Add: New target: send email notifications. This means that third parties not directly related to the ticket can now be notified of important ticket events. It also means that conditions such as tickets being escalated can result in notifications to supervisors and other interested 3rd parties. Fix issue with user shown under "Support Staff"